A high-sensitivity Premium Compact Design Full HD Memory Camcorder equipped with Wi-Fi technology for easy Live Monitoring, Video E-mail and Home Detection Monitoring (Auto Photo E-mail) using Android phones/tablets, iPhone, iPad or PC. Just install a free app on your Smartphone to control the camera, receive and share your videos and stills. 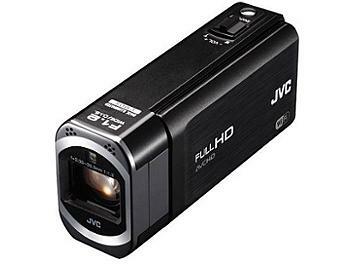 Loaded with 16GB internal Flash memory and an SDXC card slot, F1.2 Super Bright & 32.8mm Wide Angle lens and Backilluminated CMOS Sensor, Ultra High-Speed Video Recording, Continuous Still Recording, Optical Image Stabiliser, and Intelligent AUTO.